The Block Museum presents “Up is Down: Mid-Century Experiments in Advertising and Film at the Goldsholl Studio,” an exhibition reintroducing the work of influential advertising firm Goldsholl Design Associates. 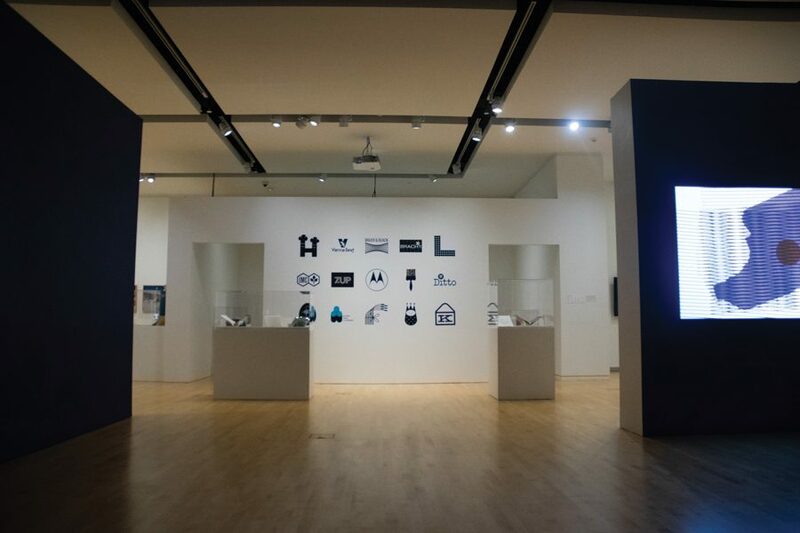 The exhibition features some of the Goldsholls’ most famous designs for companies such as Motorola, 7UP, and Kimberly-Clark. Iconic advertisements can be found everywhere, from a can of 7Up in the fridge to the classic Motorola flip phone in the palm of your hand. As the inventors of these cultural staples, Morton and Millie Goldsholl know that firsthand. In the new art exhibition “Up is Down: Mid-Century Experiments in Advertising and Film at the Goldsholl Studio,” the Block Museum of Art uncovers a powerful force that fostered the modern form of advertising and corporate branding—namely, the Chicagoan advertising firm Goldsholl Design Associates. The exhibition runs from Sept. 18 to Dec. 9 and is part of Art Design Chicago, a yearlong celebration exploring Chicago’s art and design legacy. Goldsholl Design & Film Associates was run by married duo Morton and Millie Goldsholl, said NU alum Amy Beste, a co-curator of the exhibition. The Goldsholls were mid-century artists who employed Bauhaus techniques in well-known corporate campaigns by experimenting with new materials, focusing on light as a medium and emphasizing the craft of film, she said. Beste said she was most fascinated with how the exhibition illustrated the “screen culture” of the 1950s, which the Goldsholls capitalized upon by pairing it with their knack for advertising. After the war, screens became a normal part of everyday life and the film industry flourished, she said. Chicago was considered “the Hollywood of industrial filmmaking,” and movies were shown everywhere from theaters to classrooms and stores. Naturally, the Goldsholls turned to television to influence the relationship between screen space and the outside world, Beste said. They were pioneers in moving design onto this contemporary medium, she said. Corinne Granof, the exhibition’s other co-curator, said the Goldsholls’ spirit of experimentation was well-received by corporations. As television and graphic design jobs broke into the professional realm, companies needed ways to keep viewers watching during commercial breaks—carving a space for the Goldsholls’ unique ads. Granof said the exhibition is also a testament to the historical context the Goldsholls worked in. Block Museum Communications Manager Lindsay Bosch, who worked with the curators to bring new audiences to the exhibition, said the show is particularly compelling for audiences because it touches on both Chicago’s history and the Bauhaus movement in America, she said. These crowds will also find the Goldsholls’ successful advertisements relatable and reminiscent, Bosch said.